My university degrees are a mix of computer science and history degrees. But I’ve maintained a healthy interest in archaeology, not least because of part of my OU BA(Hons), which included in the final year hefty chunks about Homer and possible Trojan excavations, and also a substantial course on the Roman empire, with much archaeological content. But my real interest in archaeology is thanks to Time Team, which I watched from its very start in 1994. I saw almost all episodes over the following years, until its last one earlier this year. I particularly liked Time Team in the early days, when it was finding its feet, and Tony knew very little about archaeology, and asked all the good questions for beginners. In later years it became a little bit too knowing, a bit too smooth, and that was before the format was (badly) tinkered with in its penultimate year. But at least it went out on a high, returning in many ways to the old format which was best. Of course there were lots of great elements to Time Team, and in particular the team. Carenza Lewis was an excellent landscape archaeologist and decipherer of maps, even before lumps-and-bumps genius Stewart Ainsworth appeared on screen. And Guy de la Bedoyere, their standard go-to person for Roman expertise, was always reliable too. 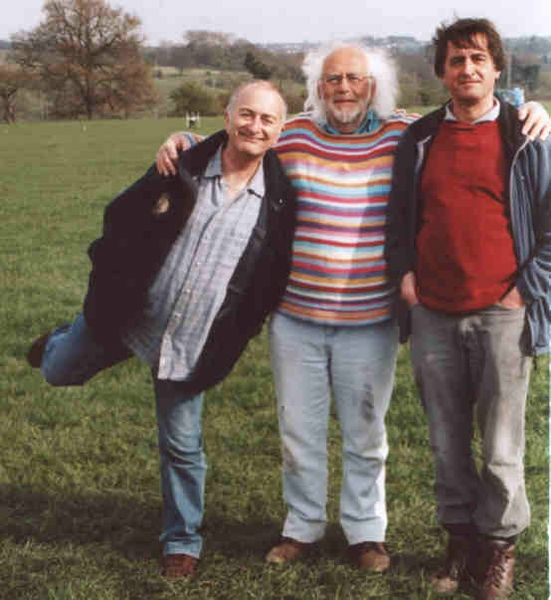 But the best for me was Mick Aston. He knew his subject backwards, but in a very unassuming, modest way. And he communicated an uncomplicated enthusiasm for archaeology that was hard to resist. It’s thanks to him that the series got off the ground, and it’s thanks to him that it lasted as long as it did. I have one of his books in the house already, bought a great many years ago. Interpreting the Landscape: Landscape Archaeology and Local History was a classic text, and indeed still is, and introduces landscape archaeology and deciphering the history of towns and villages in an extremely readable way. More recently Mick co-authored a book about a long-standing Somerset archaeological investigation: Interpreting the English Village: Landscape and Community at Shapwick, Somerset. This is on my Amazon wishlist, and I hope to get a copy sometime. The news of Mick’s death initially broke on Twitter, long before it was picked up by conventional news outlets. It’s been really touching reading the tweets tonight, both by those who knew him, such as colleagues Francis Pryor, Raksha Dave, and Jonathan Foyle, and by the many more people who had never met him but were hugely grateful for the widespread enthusiasm he inspired for archaeology and the past in general.